However much you try to prepare yourself for it, the weight of a MacBook Air will always surprise you when you pick one up. Even the larger 13.3 inch model is extremely lightweight, and this makes it one of the most portable laptops in the world. Despite the super thin design, Apple have managed to pack in a powerful computer, complete with Intel processors, flash storage up to 256GB, and an almost unbelievable all day battery life. 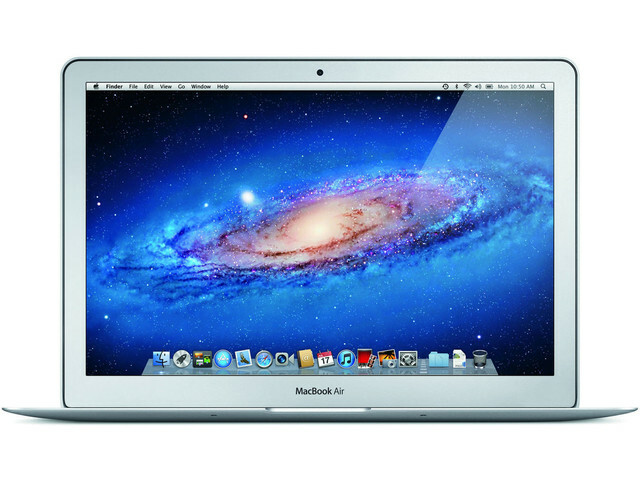 The 13.3 inch MacBook Air is your perfect companion for work and play on the move. Take it to the office, on vaction, on your business trips, or give it your kids to play with. In any situation, the MacBook Air shines though as the all day, portable solution for your computing needs.